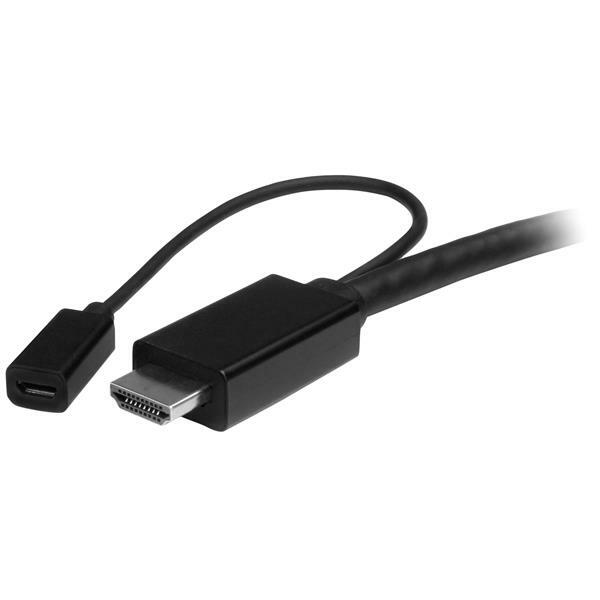 This unique adapter cable lets you connect almost any laptop or desktop computer to an HDMI® display or projector. 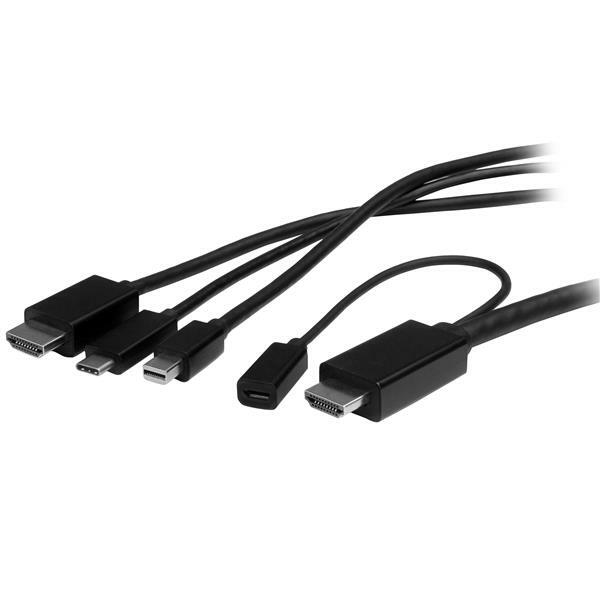 It supports the USB-C™, HDMI and Mini DisplayPort™ output from your computer, and video resolutions up to Ultra HD 4K. 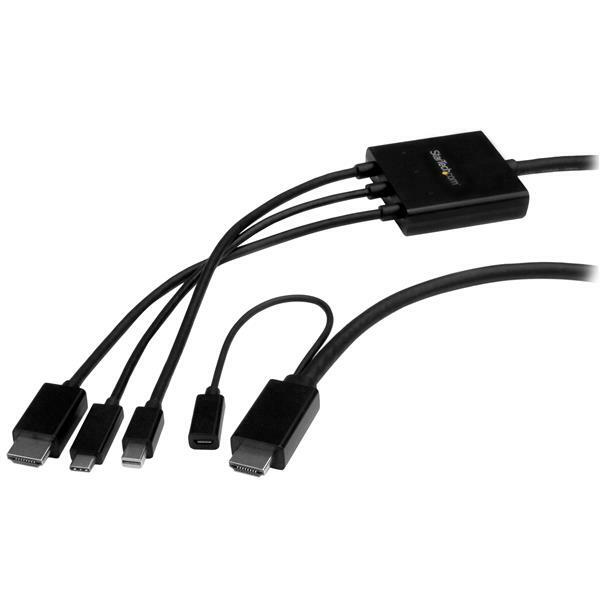 The adapter cable supports multiple input signal types, so you’ll be able to accommodate a variety of user needs. 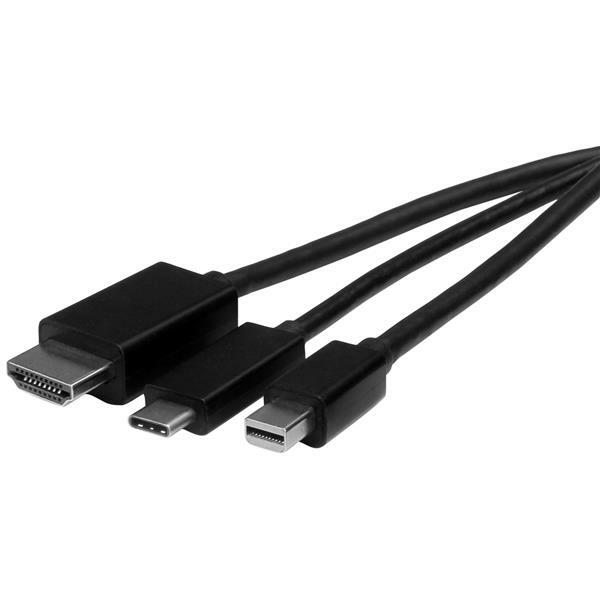 Employees and guests can plug in their USB Type-C™, HDMI or mDP laptops and deliver their presentations using your boardroom’s HDMI display, without having to carry their own adapters. 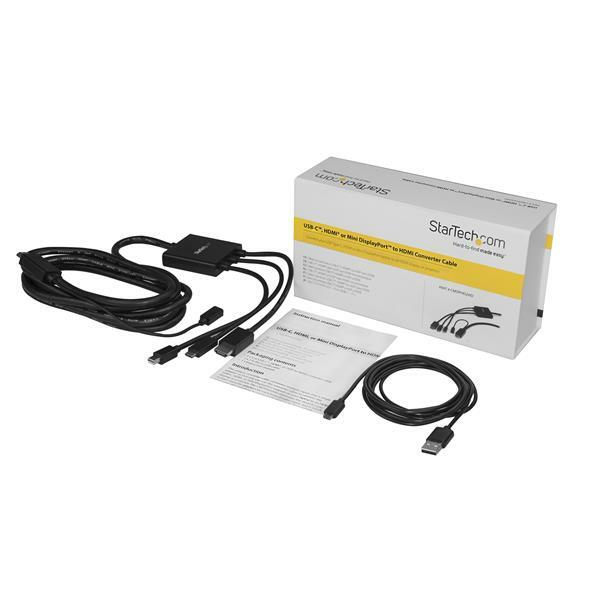 The CMDPHD2HD is backed by a 3-year StarTech.com warranty and free lifetime technical support.